Business is off to a good start at the Timber Lounge in Halifax, Nova Scotia, Canada, where axe throwing is the main attraction. The bar opened for business last month. Just hitting the target at the end of one of the four throwing lanes is a major accomplishment for players who are new to the game. "It's an adrenaline rush. I didn't quite know what to expect," said Carrie Todd, who was trying it for the first time. "It was a lot more fun than what I expected." Razor sharp axes are used and players are given a quick lesson from a coach on how to throw them. That coach is also responsible for keeping an eye on the players to make sure they are playing safely and not drinking too much alcohol. 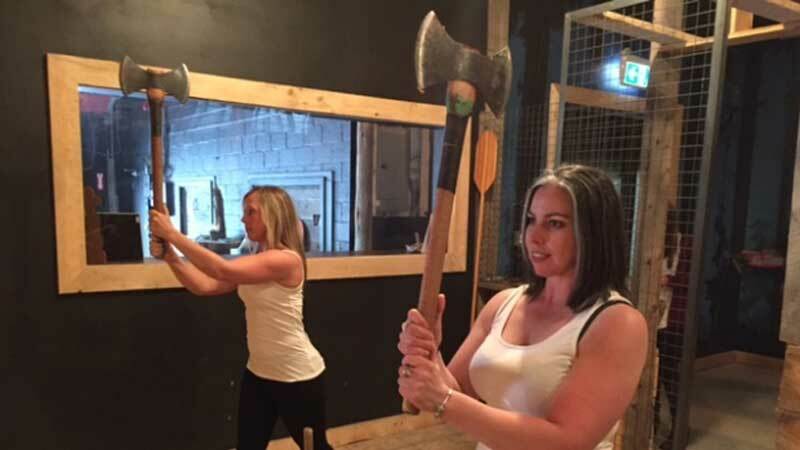 "There are a ton of safety measures in place, and before you even step into the cage, you're given a complete run down of all the rules," said Lucianna Plaxton, head axe throwing coach at Timber Lounge. 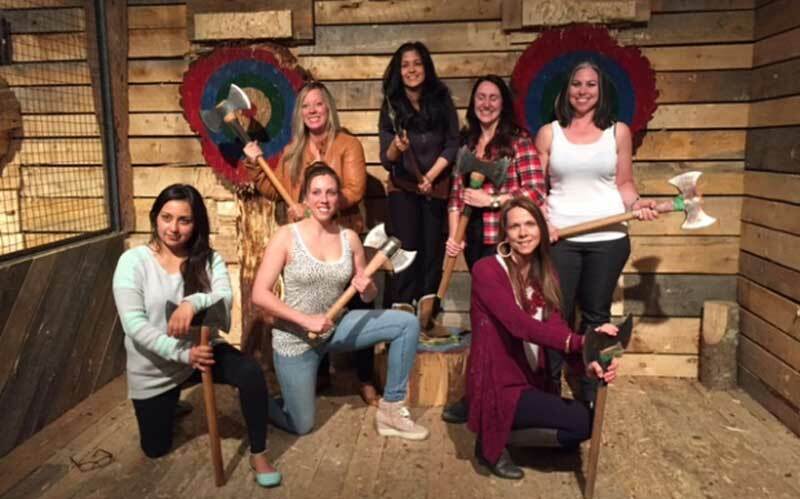 "No one throws axes when they're too intoxicated. We are very strict about that." It costs $25 to $35 for a 90-minute, two-lane session. 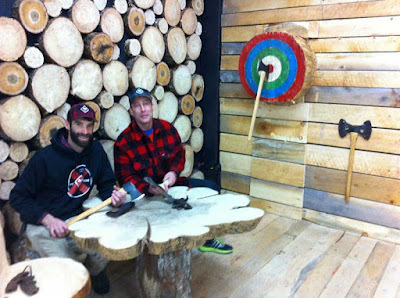 "The group bookings have been coming in steady and usually on Thursday, Friday and Saturday nights, we're just packed," said Marc Chisholm, co-owner of Timber Lounge. "Typically groups range from eight to 14 people and we've had a few bachelor parties come through." Wednesday nights also are busy. 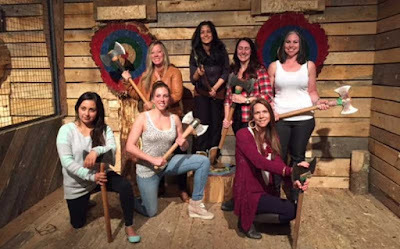 Twenty-five players have registered to take part in the axe throwing league. "That's becoming a great form of socialisation," said Plaxton. "People who didn't know each other previously are now becoming friends and going out with each other outside of the axe lounge."